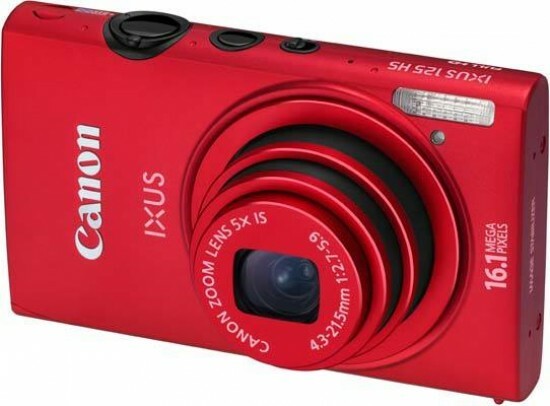 The Canon IXUS 125 HS ticks the boxes for anyone wanting a good-looking, slim, metal-bodied compact that packs in all the essentials. These include that regulation issue 16 megapixel sensor, 5x optical zoom, Full HD video with mono sound, a smattering of effects filters (including the tilt and shift lens apeing miniature), plus HDMI output, though the required cable inevitably costs extra. OK, apart from the ability to tweak exposure, alter white balance and play around with colour levels it lacks much in the way of manual controls, but that much was expected at the outset. There’s nothing here however that can be described as a great leap forwards from the IXUS models we saw last year and the price at a suggested £229 now seems a little dear, so it’s worth shopping around if you are thinking of buying one. For example, at the time of writing the UK’s largest e-tailer had it advertised around the £200 mark, which psychologically may just tip the balance. At £199 or less we could live with ourselves if making a purchase. Ultimately the IXUS 125 HS comes the most highly recommended to those casual photographers looking for a point and shoot with a reliably consistent performance that produces images requiring very little in the way of post production - and who don’t mind paying a slight premium for a slender metal exterior too.